In this article, a couple of effective tape jobs for each of the finger joints will be described. 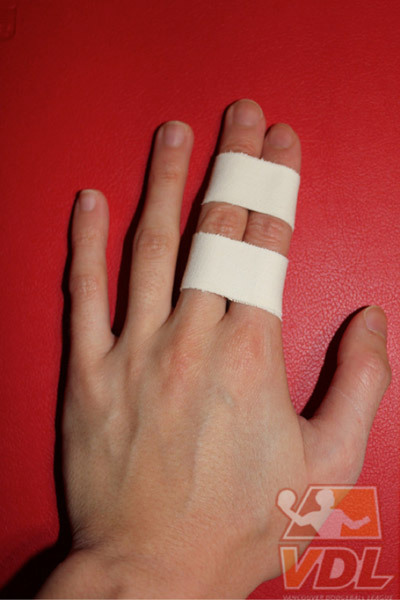 However, finger taping techniques are not limited to the ones shown here as long as you follow the principles of taping. 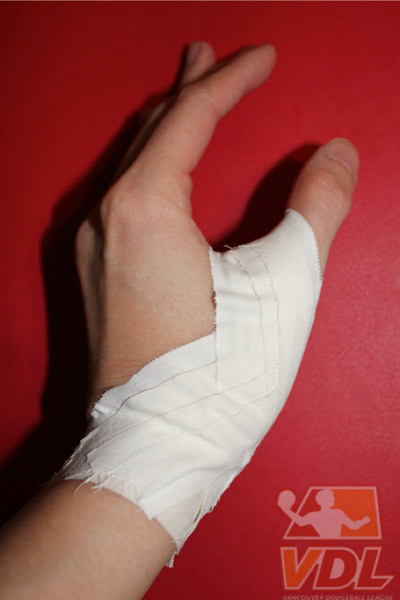 Athletic taping should be used to prevent injuries and to help with early return to dodgeball. Athletic taping should NEVER take the place of a proper evaluation from a doctor or physiotherapist if an injury persists. Tape should be removed immediately after dodgeball. If tape is kept on for too long, it can cause tissue breakdown and bacteria formation. 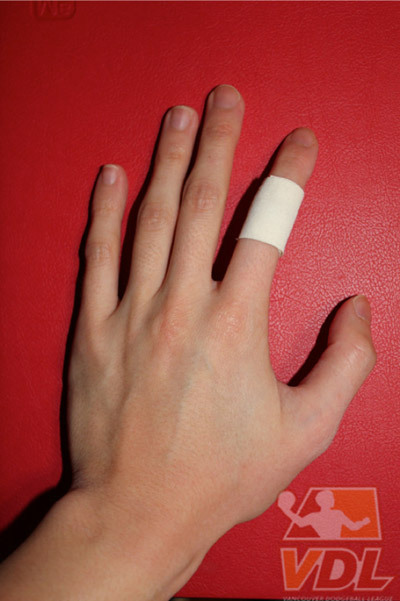 If your finger or joint becomes red, dry, hot, and tender, you may be allergic to athletic tape. Remove tape immediately. Use athletic tape (sometimes it’s called sports tape). Not medical… or scotch or duct. Athletic tape can be bought in sports specialty stores such as SportMed. Some drug stores such as London Drugs or Shoppers may carry athletic tape as well depending on their location. Use the adjacent finger for support. Start with a strip of tape around your wrist. 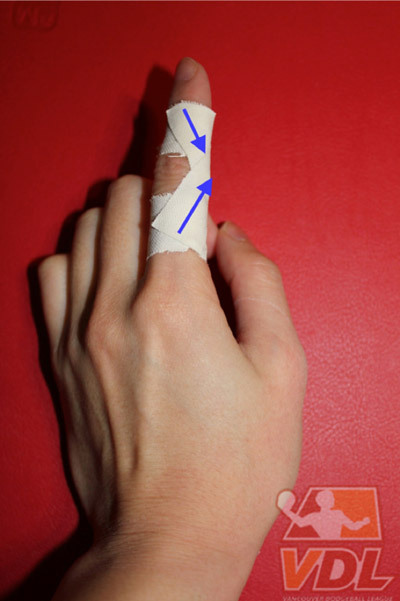 With another piece of tape, loop it around the thumb, making sure that the tape overlaps the injured joint. Repeat with 3 to 4 more loops, overlapping half the width of the tape each time. 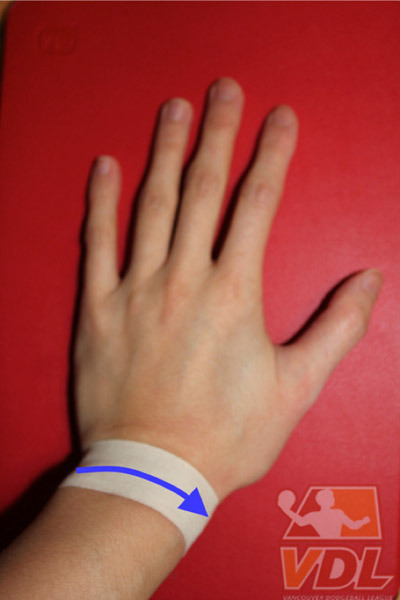 Finish the thumb spica with a loop of tape around the wrist to secure everything. 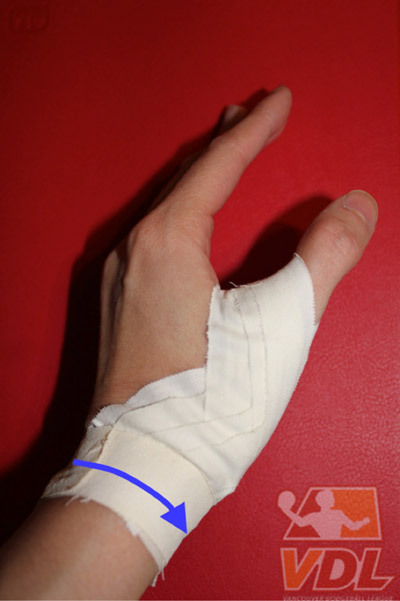 Start with a loop of tape on each side of the injured joint. 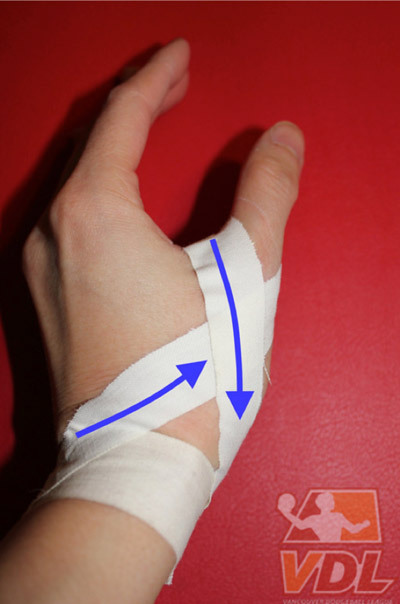 Make an X with the tape so that it crosses and supports the injured joint. Do the same for the other side of the injured joint. 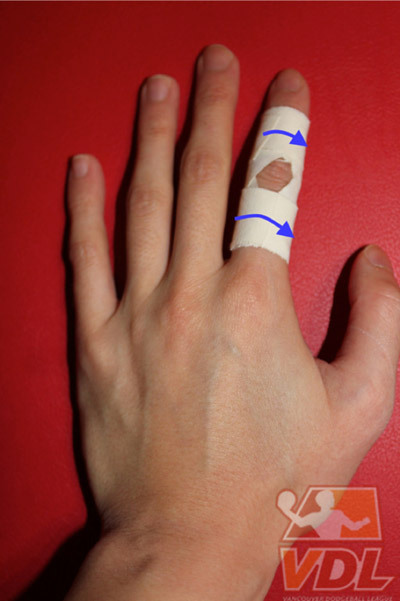 Secure the finger splint with 2 loops of tape. 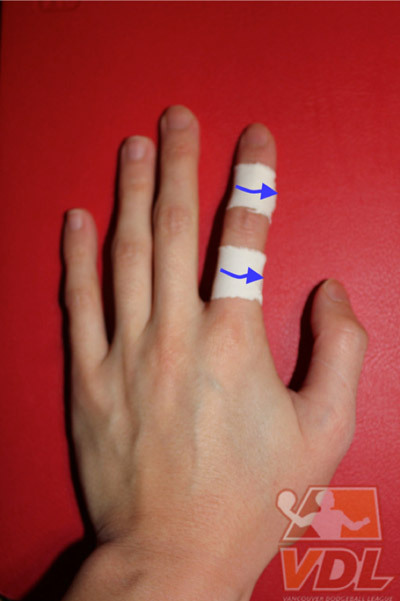 For all of the taping techniques above, pull the tape snug so that it adheres onto your finger but not so tight that it impairs circulation. 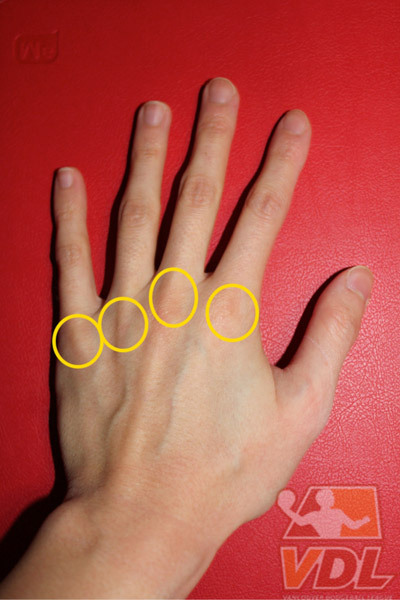 Check your capillary refill to make sure that the tape does not stop the flow of blood by pinching your nail bed and seeing if the pink-ish colour returns. If the pink-ish colour does not return in less than 2 seconds, it is too tight and the tape should be removed immediately.